When my editor told me that she’d like to see Octavia and the Lady on the cover of The Clockwork Crown, I thought it was a wonderful idea. I do miss seeing Alonzo again–and I described such a wonderful outfit for him in the book, too–but the series is really Octavia’s story. That’s especially true in Crown. This is where Octavia grows up. She has to confront everything that terrifies her. 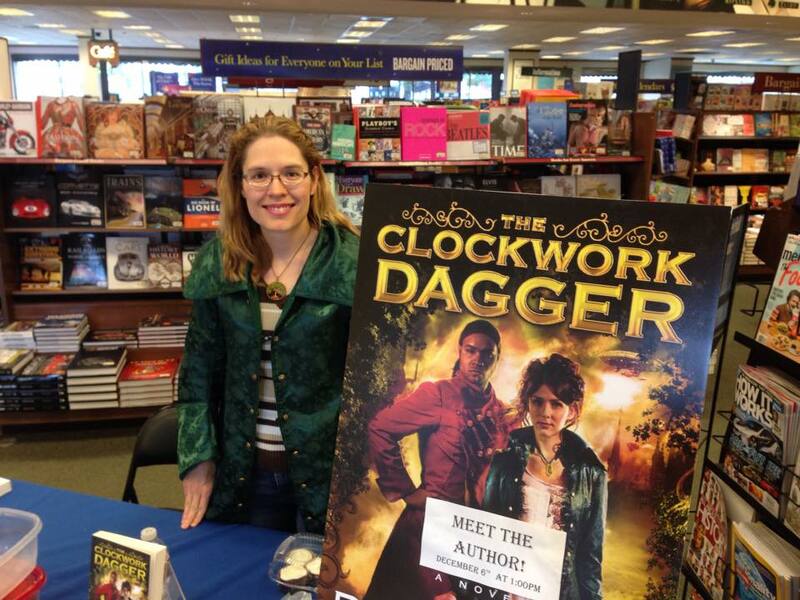 Beth Cato at her Metro Center Barnes & Noble signing in December 2014. I exchanged a number of emails with artist Gene Mollica. There is a lot of give and take in this kind of thing. My biggest request was that Octavia wear the green coat again. I mean, I loved the coat on the Clockwork Dagger cover so much that I commissioned one of my own. 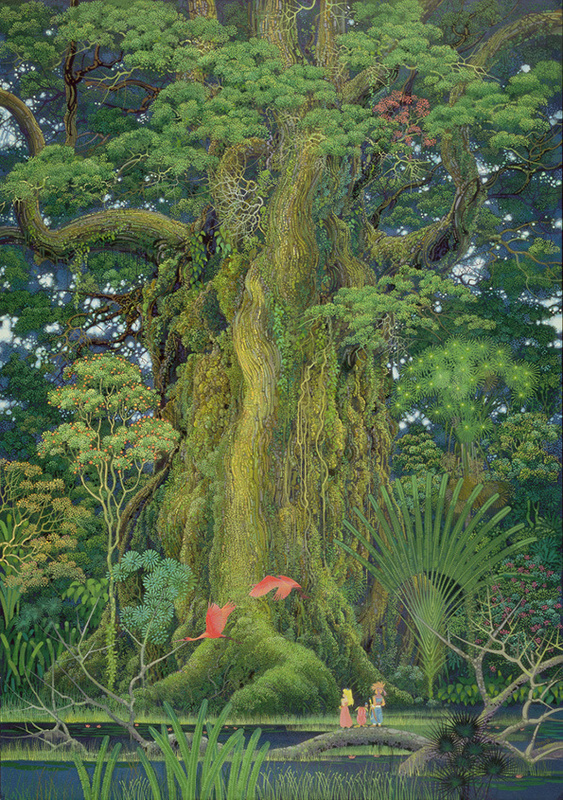 Secret of Mana artwork by Hiro Isono. Then I needed to describe the Lady. I sent along some descriptions from the books but also some reference images. 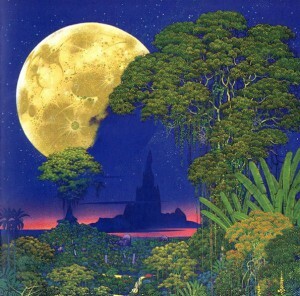 The whole concept of the Lady and her religion is inspired by the Super Nintendo game Secret of Mana. That was the first place I encountered the world tree mythology when I was a teenager. Nintendo Power published an issue with the Secret of Mana cover art as the centerfold, and I had that Hiro Isono artwork pinned on my bedroom wall for years. The Lady is a tree whose branches scrape the clouds and whose roots moor the world. A canopy of normal-sized trees is around her roots, like grass is around a typical tree. Her bark is mottled with algae and growths and cascading waterfalls, and creatures of all kinds reside in her shadow. Hiro Isono’s illustrations provided the foundation for my imagination. 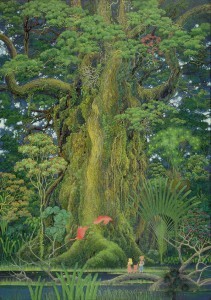 Mana series artwork by Hiro Isono. 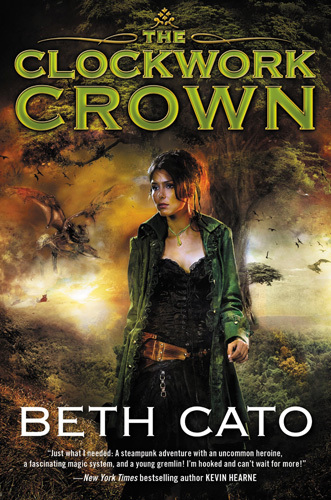 Therefore, when I saw the cover for Clockwork Crown, I was blown away. Octavia looks great, but the Lady…! It brought tears to my eyes. I mean, look between these illustrations and Gene Mollica’s end result. He created a real-life version of the Lady, inspired by the Mana Tree that I stared at for so many years there on my bedroom wall. This super-easy pie comes together in minutes and is all things fluffy, chocolately, and delicious. I love to bake, but when company’s coming and I’m already cooking meals AND juggling writing deadlines, a fancy cake or pie ain’t gonna happen. No-bake is the way to go. That way I can even make it the day before and I know it will keep just fine–and even improve in flavor. 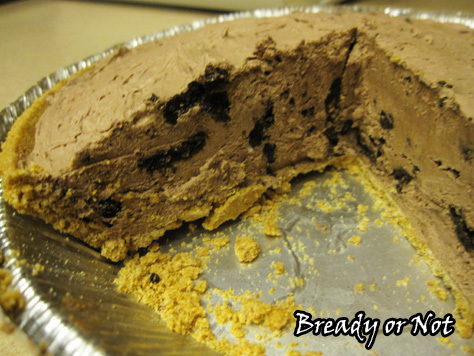 This pie is really easy to tweak. 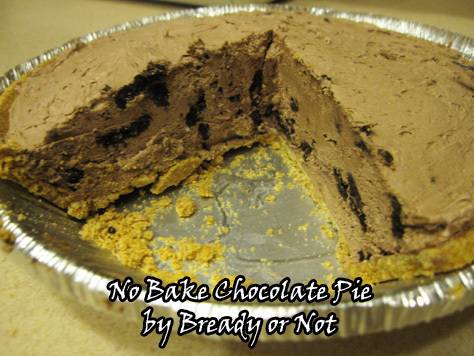 I added mini Oreos, but you can throw any kind of cookie or candy bar in there… or keep it smooth and add nothing at all. One concern I had was that this would taste like cheesecake. My family isn’t into cheesecake. 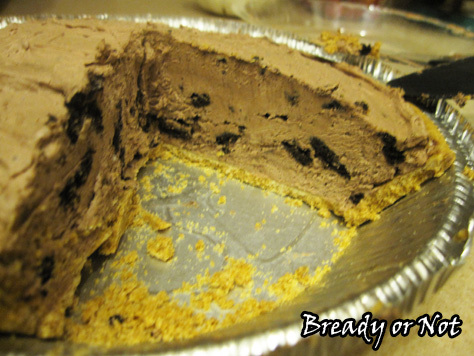 The cream cheese here adds a lot of texture and richness, but the clear flavor is that of chocolate. Which meant… shhh… people didn’t know the cream cheese was in there. Modified from German Sweet Chocolate Pie at Let’s Dish. I’m ecstatic to announce that the Clockwork Dagger series doesn’t end with two books. 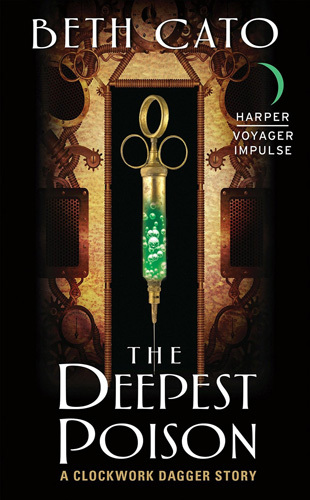 I have a new deal with Harper Voyager Impulse for a series of short works set in the same world. The first is a 7,000-word short story that comes out on April 28th and is already available to preorder at Amazon, Barnes & Noble, Kobo, iTunes, etc. It’s only 99-cents. Please preorder the ebook! I’ll be talking a lot more about this story as the end of April nears. In the end, I had to work some kitchen magic. I found a good recipe, cut the amounts in half, and played with the ingredients. I was pleased that it used sour cream as the base because I know it makes a rich, tender dough in breads. Almondmilk worked just fine, too. It actually made for a somewhat healthy stack of pancakes… which he then, of course, drowned in pure maple syrup. 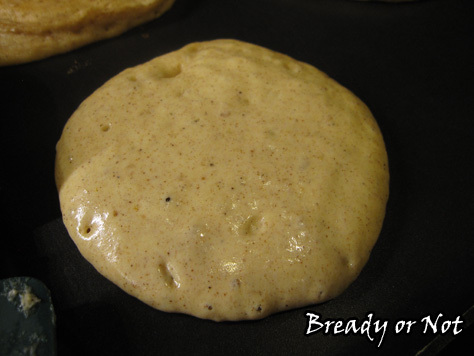 My husband loves Snickerdoodle cookies and many other Snickerdoodle-like things. He vows that these live up to the name. 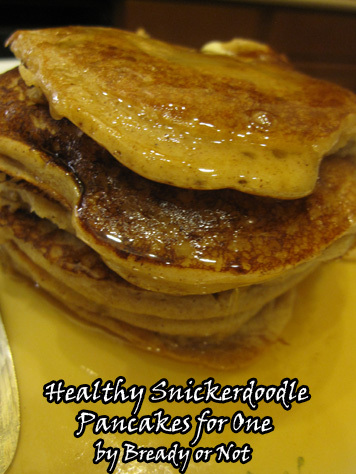 They are Snickerdoodle goodness in pancake form. 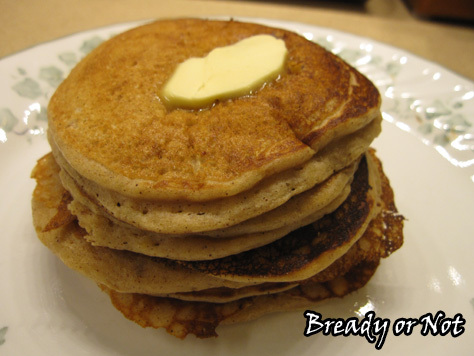 This small stack is perfect for a hungry adult or to feed a couple kids. Modified from Snickerdoodle Pancakes at No. 2 Pencil. Combine the dry ingredients in a large bowl. In a small bowl, mix together the wet ingredients, and then combine everything. If the batter is really thick, slowly add milk to get the right consistency. Heat up a nonstick griddle or pan. 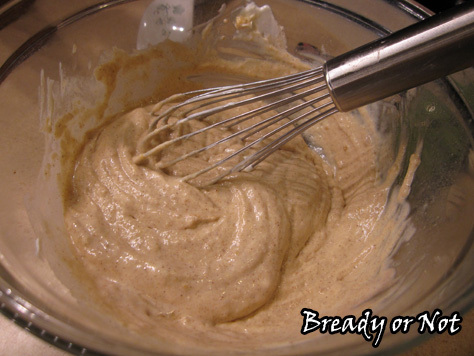 Use 1/4 cup to scoop up batter onto the surface. When the edges of a pancake are set with little bubbles creating craters on top, it's time to flip to cook the other side. Makes a small stack of medium-sized pancakes. Serve with whatever fixings you like! Those little bubbles popping on top mean I should set down the camera and flip this baby over.